How To Restore Suddenly Lost Contacts To iPhone? 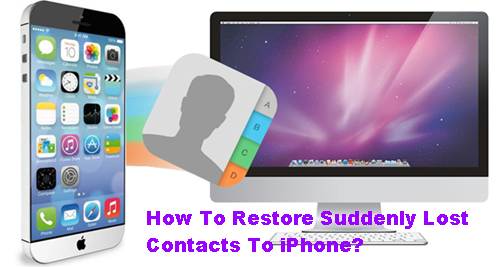 How to restore your suddenly lost contacts to iPhone as this user did? When you faced with such contacts lost problem,what will you do? Luckily, this user had an iTunes backup for his lost contacts, so, it is possible to restore his suddenly lost contacts to his iPhone from iMac iTunes backup. In order to restore suddenly lost contacts to iPhone, what you need is the help from iFonebox. As you may know that iFonebox is a powerful iOS data recovery tool which is capable of recovering deleted data like contacts, notes and messages from your iPhone/iPad/iPod Touch directly. Plus, it is supportive to extract and restore lost data from your iTunes or iCloud backup. What’s more, iFonebox is able to recover lost contacts and notes to your iOS devices directly. Pretty professional. Here, let me show you how to extract lost contacts from iTunes backup and restore them to your iPhone. Launch iFonebox. Choose Recover from iTunes Backup. Please connect your iPhone to the compute with USB cable so as to transfer lost contacts to your iPhone directly. Scan lost contacts from iTunes backup. Preview and select the lost contacts to restore. After scanning, you have the chance to choose those lost contacts and then. click Recover to PC or Recover to Device. The whole process is finished. 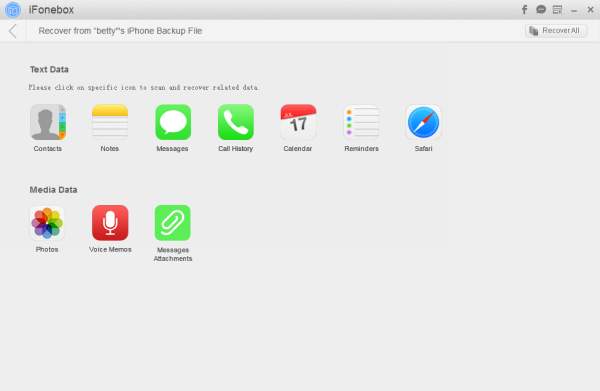 Notes: if you have an iCloud backup for those lost contacts, you can also choose Recover from iCloud Backup in the first step. Of course, you can try Recover from iOS Device to see whether you can recover lost contacts from your iPhone directly. With iFonebox, it is pretty convenient and functional to restore suddenly lost contacts to iPhone. This entry was posted in iOS Device, iPhone and tagged recover iphone deleted contacts from itunes, restore iphone lost contacts by IosdroneD. Bookmark the permalink.